Choosing to suffer means that there must be something wrong with you, but choosing God’s will— even if it means you will suffer— is something very different. No normal, healthy saint ever chooses suffering; he simply chooses God’s will, just as Jesus did, whether it means suffering or not. And no saint should ever dare to interfere with the lesson of suffering being taught in another saint’s life. The saint who satisfies the heart of Jesus will make other saints strong and mature for God. But the people used to strengthen us are never those who sympathize with us; in fact, we are hindered by those who give us their sympathy, because sympathy only serves to weaken us. No one better understands a saint than the saint who is as close and as intimate with Jesus as possible. If we accept the sympathy of another saint, our spontaneous feeling is, “God is dealing too harshly with me and making my life too difficult.” That is why Jesus said that self-pity was of the devil (see Matthew 16:21-23). We must be merciful to God’s reputation. It is easy for us to tarnish God’s character because He never argues back; He never tries to defend or vindicate Himself. Beware of thinking that Jesus needed sympathy during His life on earth. He refused the sympathy of people because in His great wisdom He knew that no one on earth understood His purpose (see Matthew 16:23). He accepted only the sympathy of His Father and the angels (see Luke 15:10). Look at God’s incredible waste of His saints, according to the world’s judgment. God seems to plant His saints in the most useless places. And then we say, “God intends for me to be here because I am so useful to Him.” Yet Jesus never measured His life by how or where He was of the greatest use. God places His saints where they will bring the most glory to Him, and we are totally incapable of judging where that may be. When I am in dire straights...I tend to want sympathy. Thank the Lord for His provision of a few people in my life who take it to the next level and offer empathy. The ones who want to get down in the dirt with me. Before I arrive at thankful though...I usually go through a pissed off season. Mad at them and mad at Him. Cuz I think I need SYMPATHY!!!!!! No lie...when you are rejected by your child...it breaks your heart into a million pieces. It's so easy to build walls around the shattered mess in order to protect yourself from more wounds. If you go back and dig into this blog...you'll find posts that list other things to do. Not sure where...back there somewhere. I've been at this for a long time. Meeting new folks going through similar struggles that we've been through keeps me blogging. The unhealed and broken stuff in our own family keeps me blogging. My kids reading this blog keeps me blogging. The growth and healing that has taken place keeps me blogging. The fact that I need reminders keeps me blogging. This brings me so much peace. Only because I know that when I am not able to do it, when I want to give up, when I have reached my limit, when I have no more strength or motivation, when I am afraid....HE is stronger. When I turn to face HIM...when I call out to HIM...HE is there and He is able. Our family has lived through an experience in our circle of relationships which has deepened our understanding of what it actually means to be "family." Sadly, what we see more than we'd like to ...are Christians walking what is sometimes a very difficult road in the flesh rather than in the Spirit. Been there ourselves. Done that ourselves. Everyone sees it. It's not like non repentant sinning Christians are hiding anything. At least not for long they aren't. "I cannot help but think of the slew of adoptive parents--so many of whom claim to be Christians--that I have encountered over the years that reject and dismiss those whom they call "angry adoptees." Run into it. With arms wide open." Threats, accusations, manipulation and guilt trips won't change the heart of your family members. Watch this video. Sign the petition. E-mail. Make a call. I got in trouble once during a Women's Bible Study prayer time. 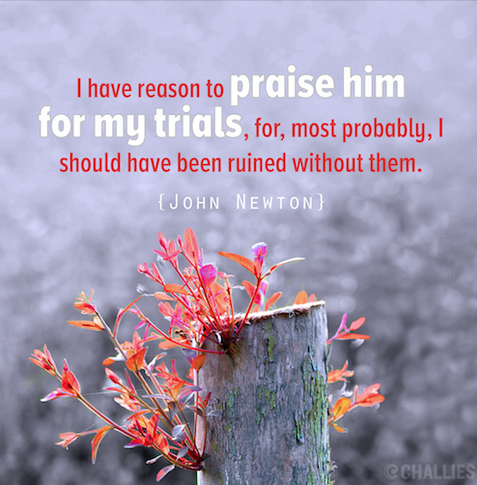 Out loud, I gave thanks for the trials in my life. I knew they had passed through the throne room and I knew the Lord had purposed or allowed them for my good and His glory. A lady there didn't take well to the concept. She was going through a very difficult time and it was too much for her to consider that a loving Father would purpose or allow such things. She lashed out in anger. Believers, everything we are going through is growing us to be more like Christ. Can you look the Lord in the face and say, "Thank you, Father.... for these attachment struggles." He's not too concerned with what we want. He's more concerned with what we need. I'll always remember this moment w/ fondness. The kind lady at Park Day who kindly came over to tell me that my child was "under the slide going potty." The kindness in her eyes. Burned into my mind. The group of home-educating moms who helped me search for a different child of mine who had wandered off at the Zoo Field Trip. She was later found ...not at the bottom of the lake THANK GOD, but in the playground area...oblivious to the panicked state her mother was in. There was the time a dear friend of mine...my child's co-op teacher came to me and tenderly let me know that my child was biting her toe nails. In class. And the dear friends who got over their frustration when my kid blew out their kid's birthday cake candles. I've got a million stories that would give you an idea of the sorts of friends the Lord has provided us with over the years....those who loved us or at least tried to loves us through the hard days and seasons. Of course, there are stories and examples of those who didn't love so well. I choose not to focus on those ones. Those who forgive much have been forgiven of much. Your rejection has been painful. It has been difficult to process. I want you to know that your choice to self protect in no way lessens my love for you or weakens my commitment to you. I understand it. I am strong enough in the Lord to handle what is not easy to handle on my own. I've tried. If and when you decide to allow the walls to come down...to be vulnerable... to open yourself up to an authentic and reciprocal relationship...I will be here. Waiting while never losing hope. I believe this piece speaks to the hearts of mom's and dad's and siblings and extended family and friends living with the reality of attachment struggles. Oftentimes, the struggle reveals more about us than we'd like to think or admit to. I've written about it before....somewhere down in the long list of posts over the years. And sometimes...us Christian parents/families dealing with attachment issues get into a rut...a bad rut. A space where the reality of the difficulties before us overtakes the Lord's instructions to speak the truth in love. To actually love. Unglodly habits are formed and hard to break. And they are easy to justify. The bottom line...sometimes what others see as unloving...actually is loving. Forgiven people are forgiving people. Send in your hearts so that others might be encouraged by the gentle whispers of the Lord's love. Feel free to leave anonymous comments. We know how intimidating and frightening navigating this territory can be. You are not alone...and chances are...you're probably not crazy. 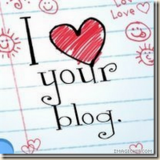 Thanks for the blog love Beckyjoie. We are not experts. We are not offering professional advice, diagnosis or support. We are merely two families (friends) sharing our experiences, what the Lord has revealed to us and a shoulder to help bear others' burdens.